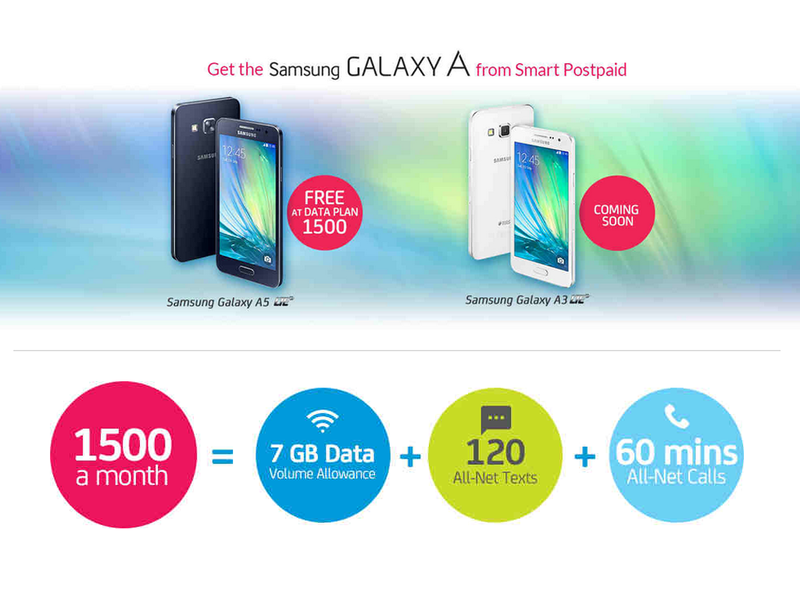 Samsung Galaxy A5 Is FREE At Data Plan 1500! 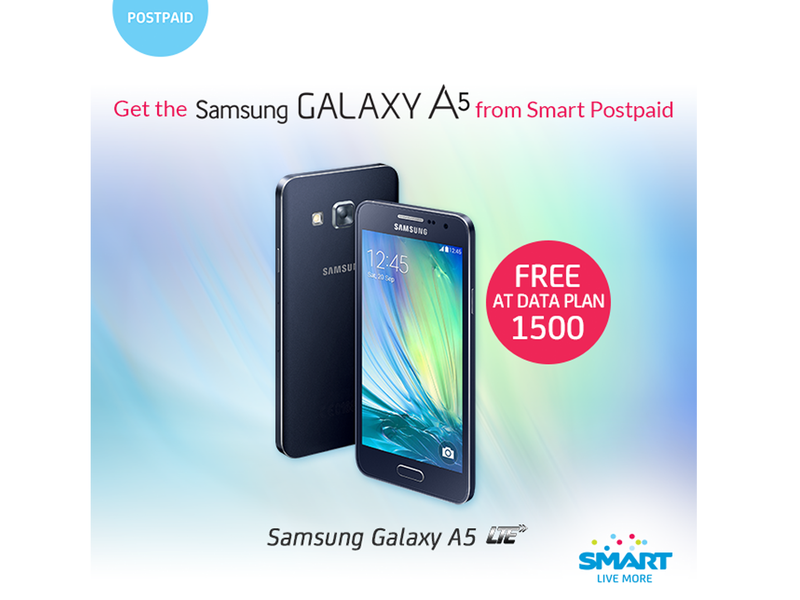 Smart Communications announced via their official Facebook page today that they will offer the Samsung Galaxy A5 for FREE at Data Plan 1500. For just 1500 a month, you will get 7GB data volume allowance, 120 All-Net texts and 60 minutes All-Net Calls. Check out Smart's posting here. To give you a quick recap, the Samsung Galaxy A5 sports a 5-inch Super AMOLED HD display with 1280 x 729 pixels resolution. It is powered by a quad-core Snapgdraon 400 processor paired with 2GB of RAM and 16GB internal memory. It has a 13MP rear camera and 5MP front camera. Smart Communications will also offer the Samsung Galaxy A3 but the company has not revealed yet about its availability or type of plan.